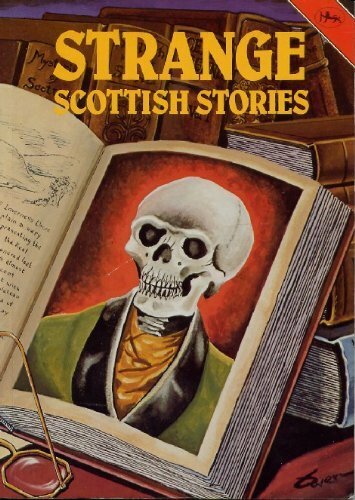 Ghosts, witches, unexplained mysteries, and the supernatural are the basis for this fascinating Ghost Series which relates ghost stories from Scotland. I was prepared to be thoroughly terrified by this collection of stories; I wasn’t. Instead, I was filled with an immense feeling of intrigue, curiosity, and (bizarrely) déjà vu. As each of the tales originated in Scotland, mainly the Highlands, I felt a huge impact of patriotism and an odd pride at seeing my ancestors cut each other’s heads off. Owen’s collection of tales range from myth and legend, to those he tells us are absolutely true. We are left alone to decide which of the stories fall into each category - an uncomfortable and difficult feat. Murder, ghosts, deceit, revenge, and even Falkirk’s favourite - the kelpie, are themes within the book, and each glimpse is as grim as the last. My favourite thing about this book is its commentary on old Scottish custom and social hierarchy. We’re going as far back as the 1700s here, and it was gorgeous to read of the ways of the people in our country at that time. Even if, y’know, they were plagued with the ghost of a widow bent on vengeance. It’s nothing that will keep you from sleeping, but there’s something really queer about it that I can’t put my finger on. Well worth a read for us Scots, and for anyone else who’s looking for a piece of something arcane.